29th August - 1st September 2019 11am - 6pm . 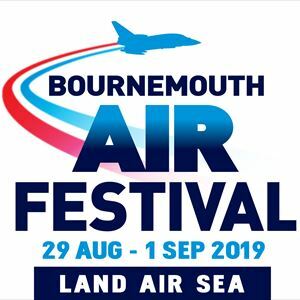 The Bournemouth Air Festival, the largest aviation event of its kind, returns to the UK's best beach destination from the 29th August - 1st September 2019. We are offering a stunning VIP experience at the heart of Bournemouth's premier event. Why not treat yourself, or buy tickets as a gift for someone special? The Air Festival Hospitality marquee is the only hospitality venue located on the beach directly under the central flight line, providing the perfect setting to watch the action. Luxurious package includes: • Exclusive marquee and viewing area • Glass of bubbly on arrival • Two course lunch • Afternoon cream tea • Access to VIP bar and viewing decking throughout the day • Private toilets • There may also be the opportunity to meet passing display teams who pop into the marquee for refreshments!